New York Times bestselling author Malcolm Gladwell gave us all a tangible ingredient for success in his 2008 book “Outliers” when he famously asserted that expertise in virtually any area is acquired by roughly 10,000 hours of practice. Natural talent isn’t a key ingredient to success in most fields, but per Gladwell, you do need to put in the time. This should be good news for me, considering I’ve been a parent for 17,565 hours and counting. But Malcolm, what gives? Since my inception as a parent, I’ve struggled to consistently know I’m a good one. I’ve also developed a theory that the only parenting experts are the brand new moms that seem to know everything. The seasoned ones just know better. As any parent will tell you, there are no real parenting experts, but that doesn’t stop mamas like me from thinking we might have missed a memo or two. 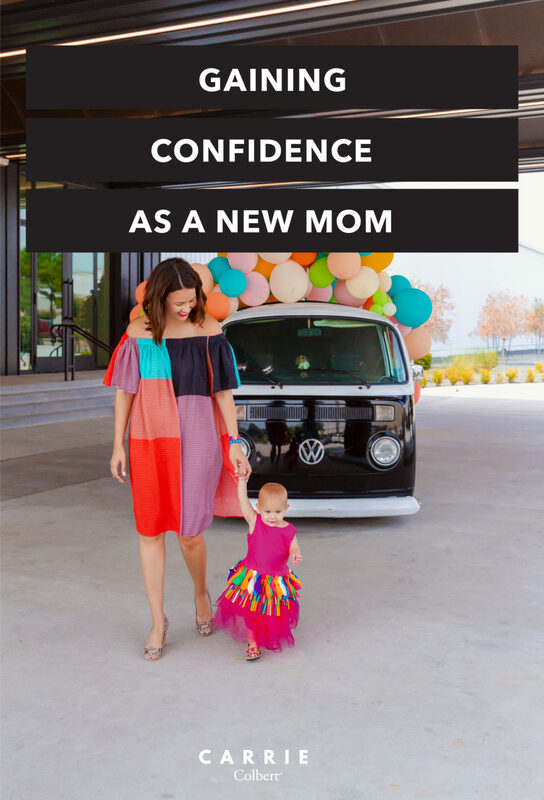 One of my closest confidants stopped me in my tracks the other day when I told her – not for the first time – that I wasn’t so sure I was doing the best job at this whole mama thing. Ah. A good enough mother, I thought. I can be that. That feels nice. Her advice felt like a warm blanket with its stark contradiction to all of the other messages we mothers receive about parenting every day. We are told constantly that we must do it and do it all perfectly. We compare ourselves to people whose lives we know virtually nothing about other than what we know virtually. In 2018, social media would have you believe that the parenting experts are everywhere. Everything we think we know about others’ parenting comes from their Instagram accounts, the perfect photos depicting the perfect moment right before the meltdown or the mom who somehow works from home and runs a killer business while parenting her children flawlessly. Not pictured? The nanny behind the camera who’s making it possible for her to pull everything off. There’s zero shame in having any amount of help (word to the wise: take whatever you can get! ), but many of us are under the wrong impression that mothers who are doing it all are doing so without any. This is largely thanks to social media highlight reels that don’t include the closing credits. Not only are we witnessing doctored versions of others’ parenting realities, we’re seeing things we wouldn’t even be seeing at all if it weren’t for social media. In life, we tend to attract people who are living their lives similarly to us. But on Facebook? On Facebook we get to see into the lives of our high school best friends whom we lost touch with decades ago, or the girl we spent about four months working with over one summer when we were a teenager. We have a window into realities we would otherwise know nothing about, and while this can make for a very interesting newsfeed, it can also be detrimental to our mental health. In parenthood as with every other area of life, the amount you compare is directly related to the amount you despair. Studies show that while we covet the ideas of freedom and abundant choice, those of us with fewer choices are actually much happier. If we know, for the most part, who we are and how our lives are going to play out, we have less to think about and are able to be more present without questioning and doubting ourselves. If we have more choices – often the result of increased financial freedom – we’re at risk for feeling less happy because opportunities to doubt ourselves and question our choices are everywhere. When we’re just trying to mind our own parenting business and are faced with the stay at home parent, the work at home parent with no help, the work at home parent with a full staff, the religious parent, the homeschooling parent, the traveling parent, the homemade baby food parent, the attachment parent, and all of the parents in between, it’s really no wonder we’re all driving ourselves crazy. Every decision we make means there’s a decision we’re not making. And when the consequence of a “wrong” decision is the wellbeing of the child or children we would lay down over the railroad tracks for, parenting can feel excruciating. There is a difference between being open to new parenting concepts and opening yourself up to a mountain of self doubt that does nothing other than make you feel like a less-than-enough-parent. So what’s the solution? Keep your eyes on the road. When we’re driving our cars, we don’t look into the car next to us to see what that person has in their cup holder or what their seats are lined with. If we did, we would crash and hurt ourselves. When we peer into the the lives of others too often, we crash and hurt ourselves just the same. Even though we might have thought we were just acquiring information about how another person drives or what their car looks like, we end up all banged up with zero positive outcome. We are far worse off than we were before we decided to look over. Each of us is doing the best we can with what we have. We are exactly who our children need us to be. We were chosen to be theirs. We are the ones – the only ones – who could be doing the job we are meant to be doing as perfectly as we are doing it for the babies and children that we have. You don’t have to be a mom that you’re not, and you don’t have to know everything (in fact, everything you need to know is already in your gut!) The mom that you are is perfectly imperfectly fine. You don’t have to be perfect, you just have to be good enough. And my, are you so, so good enough, mama. 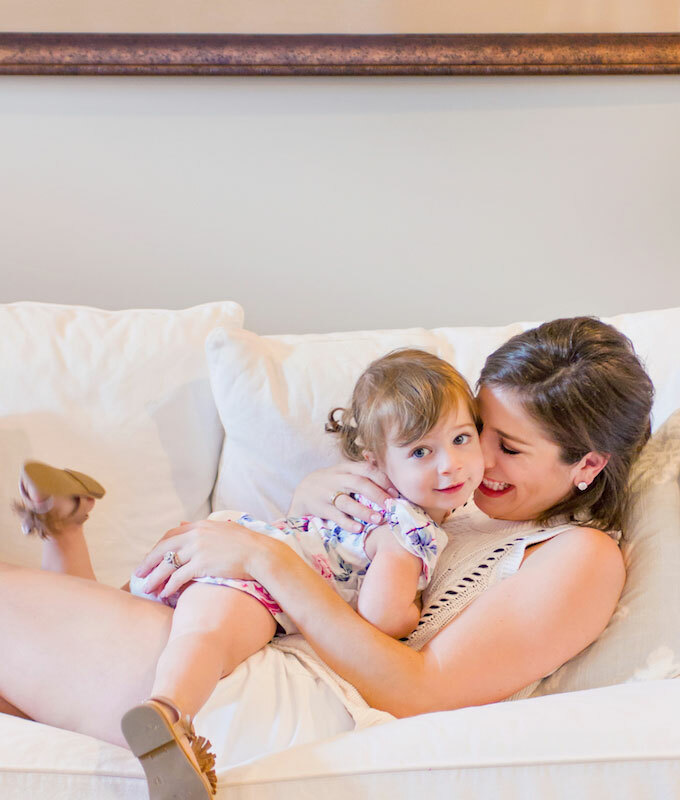 Laura Max Rose is a writer, web designer, marketing maven, TV contributor, wife and mama. She is the owner of Laura Max Rose LLC, a boutique web design, brand consulting and social media marketing company. 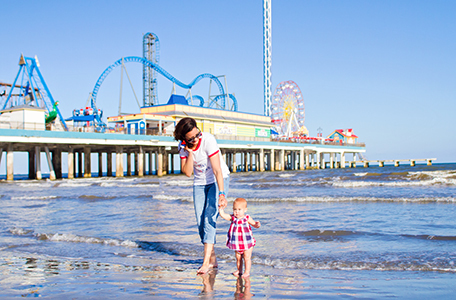 She lives in the Heights in Houston, Texas with her husband Ben, their daughter Selma Baines and their son – nay, golden-doodle – Hampton. 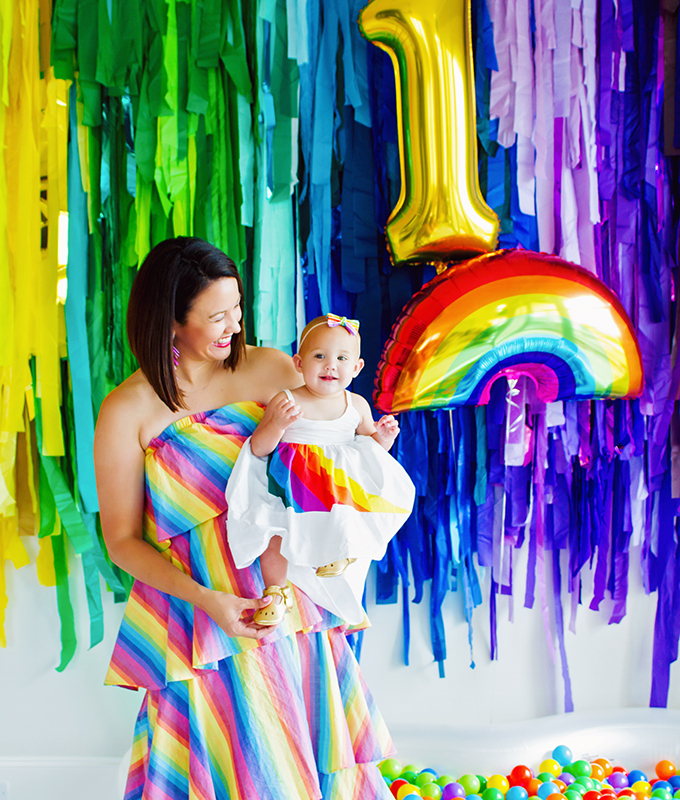 There are few things we love more than rainbow stripes.